John Overholt, Curator at Houghton Library, shines a spotlight on a few examples from the eclectic lot of cabinet card photographs found in the Harvard Theatre Collection, a series of images which are currently making their way onto Wikimedia Commons courtesy of the Wikipedian in Residence scheme. This year, Houghton Library hired its first Wikipedian in Residence. Although the project was new for us, the idea certainly isn’t: since the first such position was created in 2010, dozens of libraries, museums, and other institutions have had a Wikipedian. Generally, a Wikipedian in Residence will enhance articles relevant to the institution’s collections, contribute materials from those collections, and foster ongoing cooperation between the institution and the Wikipedia community. You can follow the work of our Wikipedian in Residence, Rob Velella, through the edit history of the account he created for this project, Rob at Houghton. 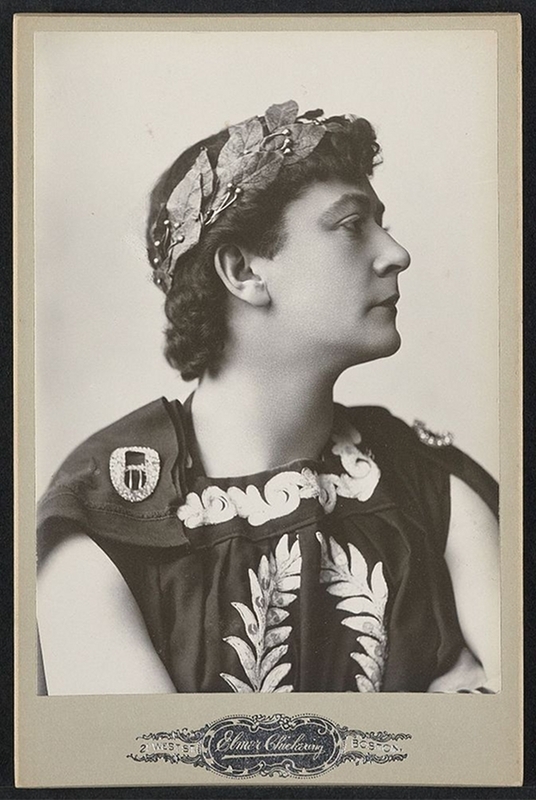 English actor Aubrey Boucicault (1869-1913), headshot in character. Source includes the note: “In Quo Vadis”. TCS 1.3244, Harvard Theatre Collection, Harvard University. Date: 1913 or earlier. Photographer: Elmer Chickering from Boston – Source. 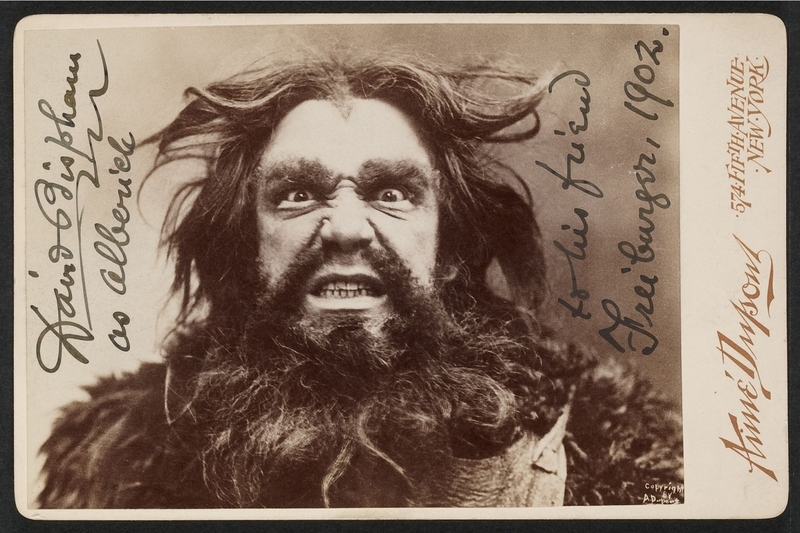 American opera vocalist David Bispham (1857-1920), in character as Alberich in the opera Siegfried. TCS 1.2543, Harvard Theatre Collection, Harvard University. Date: 1902. Photographer: Aimé Dupont – Source. 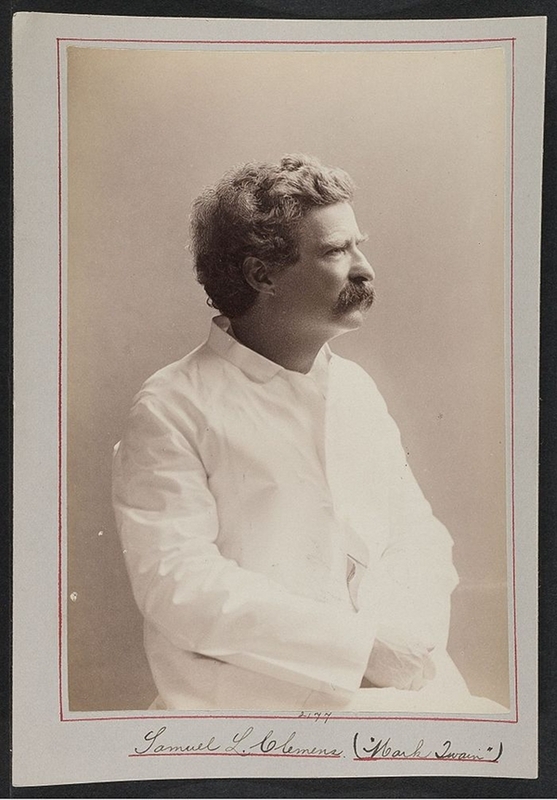 American author Samuel L. Clemens, known by the name Mark Twain (1835-1910), sitting and wearing a white suit. TCS 1.5265, Harvard Theatre Collection, Harvard University. Date: 1910 or earlier. Photgrapher: unidentified – Source. 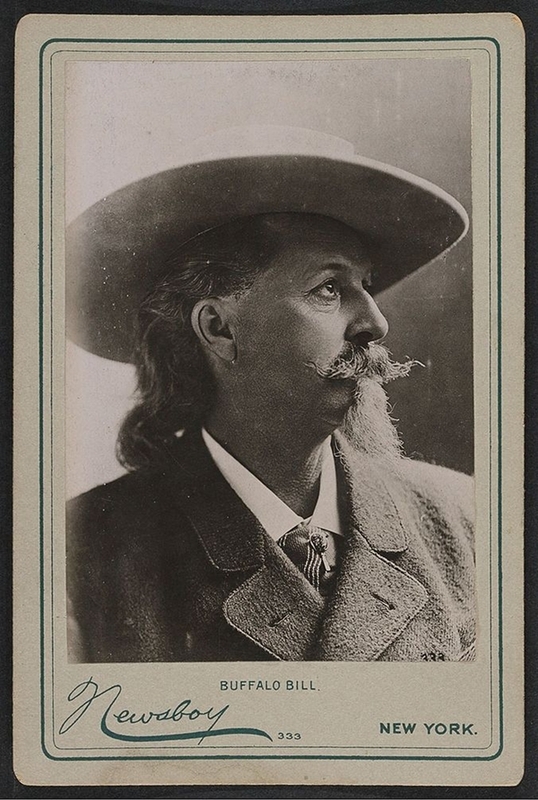 American showman William “Buffalo Bill” Cody (1846-1917). TCS 1.5331, Harvard Theatre Collection, Harvard University. Date: 1917 or earlier. Photographer: Newsboy, New York – Source. 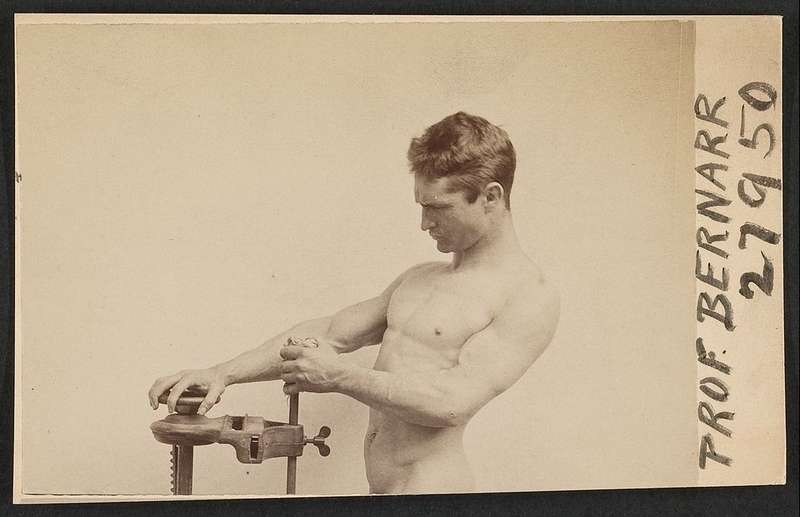 American proponent of health and fitness Bernarr Macfadden (1868-1915). TCS 1.2397, Harvard Theatre Collection, Harvard University. Date: Before 1918. Photographer: unknown – Source. 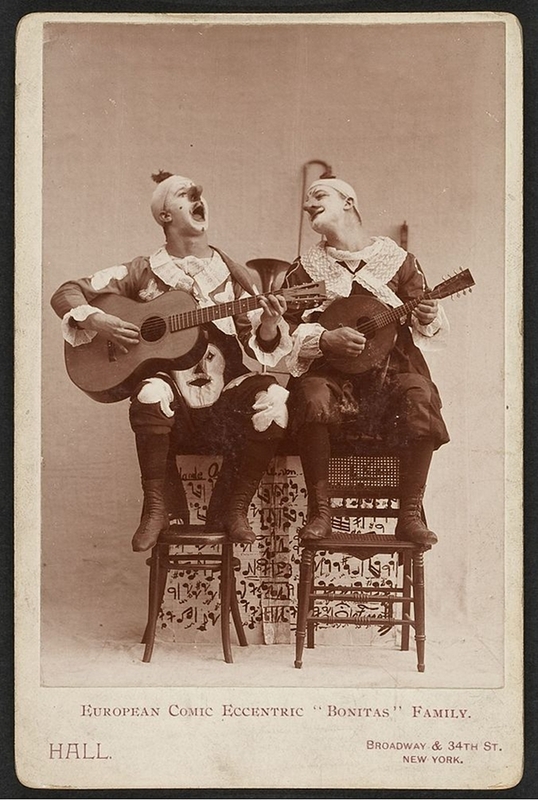 Two performers playing stringed instruments. Labeled “European comic eccentric ‘Bonitas’ family. TCS 1.2790, Harvard Theatre Collection, Harvard University. Date: 1918 or earlier. Photographer: Hall, New York – Source. 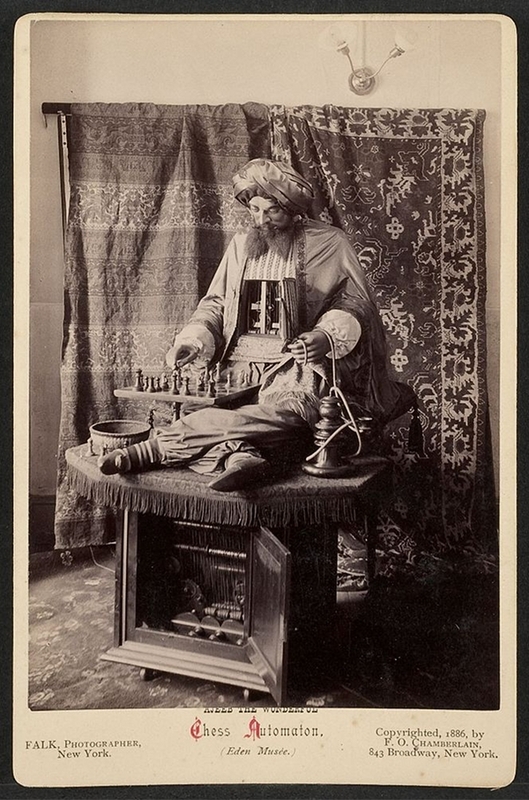 In fact, not all the subjects are human, such as the chess playing automaton Ajeeb the Wonderful. It should be noted however, that like his more famous cousin the Mechanical Turk, Ajeeb is merely a cover for the quite human chess player inside who secretly controlled his movements. Chess automaton “Ajeeb the Wonderful”. TCS 1.183, Harvard Theatre Collection, Harvard University. Date: 1886. Photographer: Falk, New York – Source. If you’d like to explore the rest of this fascinating collection, simply search for “TCS 1” in VIA, Harvard’s image access database, or visit us at Houghton Library, which is open to any adult researcher who wants to make use of our collections.